A busy and full- on August has meant less London drawing visits and frustratingly little chance to get down to writing, so I now have a backlog (or Backblog? Or Blogjam?) of posts to write! Please forgive the erratic production; hopefully a near normal service will resume in September. Maybe! A few of the original engraved copper plates still survive for one of the earliest printed maps of London dating from 1558, known as the ‘Copperplate map’. One of the plates shows the area to the north of London Wall (see below. The green rectangle roughly indicates where Finsbury Square is today), much of which was owned by St Pauls Cathedral. A patchwork of marshy fields such as Moor Field, open meadow land such as Fynnesburie Fields and enclosed paddocks alongside Bishopsgate Street. Little drawings of figures engaged in everyday activities: walking dogs, hauling sacks, tending cattle, laying washing out to dry. Where the modern Finsbury Square now lies are a couple of figures with longbows raised, ready to shoot. At that time, young men were strongly encouraged to practice their archery for possible conscription into the army. Over the fields just north of here were the Finsbury Marks, a network of metre- high roughly carved tree stumps and stone markers, a kind of golf course for archers to sharpen their aim and hone their skills. Finsbury Square is a double blank domino of 2 grass squares, each about a third of an acre. I enter at the City Road (northwest) corner. Stretched taut and sprinkler green in front of me is one of the grass squares, the bowling lawn. A white chain around its edge declares it out of bounds. The benches all around are chock full of lunchtime refugees, staring pensively across the empty flatness as they munch their steak wraps (from the ‘PopUp at the Patio’ street food cafe on the central terrace of the garden). I stroll the perimeter of the bowling green and up to the cafe and push between the crush of lunchtime office workers. I’m served coffee by a smiley Irish girl who tells me about the Barefoot Bowls events which happen here regularly (www.barefootbowls.co.uk). She says it’s pretty cool and you don’t have to take your shoes off. Or your socks! I look back out at the green. A pair of starlings are its only occupants today, bickering over a piece of pizza crust. I feel an irrational urge to pull off my boots and take my coffee to the middle of the pristine green. But I don’t. During the Great Fire of London of 1666 many people fled through London wall’s Moor Gate into the sanctuary of these damp fields. A sizeable shanty town community grew here for weeks afterwards made up of those who’d lost their homes to the blaze until many were found accommodation in regional towns and cities. Barbecue aromas from the Pop Up cafe drift through the clutter of bright coloured deckchairs which litter the crowded south lawn. Most of them occupied. Intermittent sunshine makes head-and- shoulder shadows come and go on the canvas backs. This space a contrast to the other face of the domino: sun scorched grass, worn and foot hardened bare earth. But at one end is a large puddle, presumably from the heavy rain the day before yesterday. A smart businesswoman in a tawny suit walks her little Pomeranian over to the puddle. The dog drinks and paddles while it’s owner chats into her phone. Then it shakes itself free of muddy water and the woman shrieks and flinches and hauls the little creature away while dabbing at her skirt. Facing the incessant and noisy intersection at the square’s southwest corner is a quiet and simple black memorial settled in a flowerbed, wreathed in rosemary and lavender and black eyed susan. Installed in 2013, it lists in gold the names of the 43 who died in the tragic 1975 Moorgate tube disaster. As London began to stretch out beyond its walls in the 1700s, plans were drawn up by the City surveyor, George Dance the Elder, to develop this as a residential area where the city still flirted with the open Middlesex landscape. Finsbury Square was eventually laid out by his son George Dance the Younger between 1777-92, with grand houses and fine Georgian terraces, aiming to attract the burgeoning professional classes who were already making the new west end streets and squares around Mayfair fashionable. The central gardens were circular and for the exclusive use of residents but were opened to the public in the early 1800’s so that everyone could enjoy and wonder at the new gas lighting, the first to be installed in a London public square. I walk to the southeast corner, where the Martha Smith drinking fountain stands (in the form of a Gothic tower, presented to the parish by her sons). A couple of massage tables have been set up nearby by urbanmassage.com for the benefit of the needy stressed. I set up my drawing things under a robinia tree. I take a view across the busy lawn towards the grand and imposing art nouveau Alphabeta Building (formerly Triton Court) on the opposite flank of the square, its facade rising majestically like an angular mountain face. Poised precariously on a globe at the pinnacle of the summit is the tiny triumphant figure of Mercury, the messenger and God of trade and merchants (inset in photo below). Since the building’s major refurb of 2014 the exterior has hardly changed but its interior has been opened up into a light 21st century space of glass, floating meeting spaces and greenery-filled atrium. All the large blocks which range around this square date since the last century, replacing every one of the original Georgian town houses. The most recent arrival, the undulating glass and steel facade of 10 Finsbury square (see photo at bottom). I think I’ve parked myself in smokers’ corner; from behind me billows of smoke waft over my shoulder. By the time the drawing is finished (see top) I feel like I’ve inhaled a whole packet of cigarettes! I’m standing close to one of the entrances to the subterranean car park, where people have to insert their tickets to gain access. The huge prewar growth of car ownership meant that parking in central London’s business districts was becoming a pressing issue. Plans were drawn up to create a car park under this space, but it wasn’t until the 1950s that Finsbury Council were able to start excavating. It was completed in the early 60s, the first under a London square, and the shabby and war worn gardens were redesigned in the form they are today, with bowling green, lawns, flowerbeds and cafe. But it’s good to see that two Victorian stone horse troughs have survived the upheaval (below. Donated by Martha Smith’s daughters. Now filled with bedding plants), one of them just streetside of where I’m drawing. Reminders of the predominant transport system 120 years ago, before the need for underground car parks was even imagined. There’s continual activity. People getting up from deckchairs, people sitting down (I notice that almost everyone has the need to move or adjust the deckchairs before sitting in them. Taking ownership maybe). A woman in a long green dress sits and stretches out. She slips off her trainers to reveal Union Jack socks. A lunchtime party is happening within a conclave of deckchairs. Silvery birthday balloons bob above. 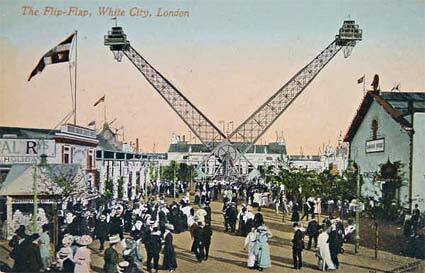 At 3.00, park attendants begin to collect deckchairs, crashing them closed and loading them, clattering onto a trolley. They beckon the sitters off with a flicked thumb (as if saying “Go on you, back to work!”). The displaced occupants resigning themselves to sitting on the ground or slinking back to the office. Or moving off to the park benches or playing ‘musical chairs’ until the number of available deckchairs get fewer. And fewer, until all are gone. The empty lawn breathes and a slash of sunlight rakes across.